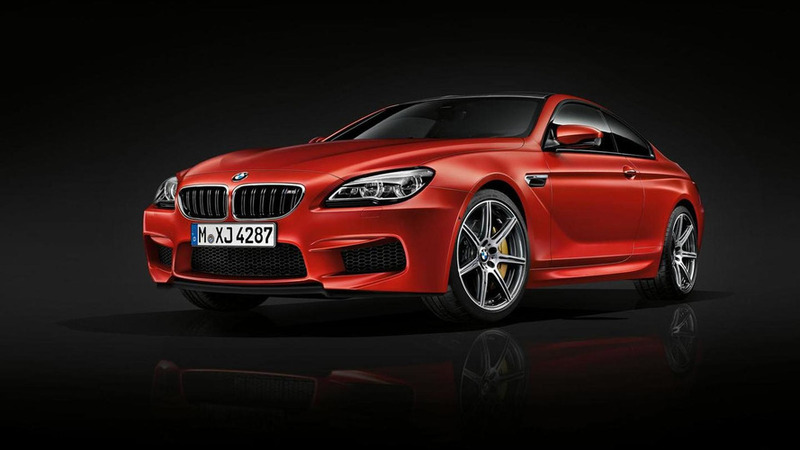 BMW has announced plans to introduce the new M6 Competition Edition at the Frankfurt Motor Show. Based on the M6 Coupe, the special edition is being billed as a "more individual version" of the company's high-performance coupe. BMW was coy on specifics but said we can expect "special exterior paint finishes" and components manufactured from carbon fiber reinforced plastic. The special edition will also have an unique interior with exclusive leather upholstery as well as coordinated contrast stitching. There will also be some "more distinctive touches." As the name implies, the model is equipped with the Competition Package which enables the 4.4-liter TwinPower Turbo V8 engine to produce 600 PS (441 kW) and 700 Nm (516 lb-ft) of torque. This will enable the special edition to hit a top speed of 305 km/h (190 mph) when ordered with the optional Driver’s Package.